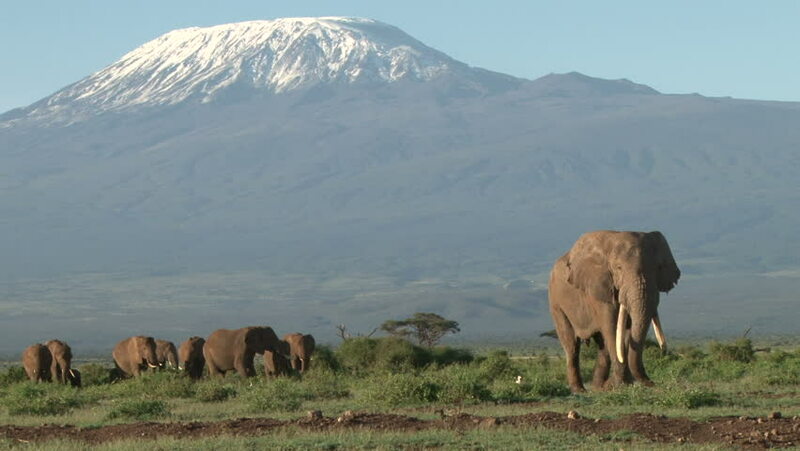 a bull elephant leads a group down the kilimanjaro mountain. hd00:21A large herd of elephants coming down from mount kilimanjaro to the swamps of amboseli. hd00:16many elephants coming from kilimanjaro to the swamps of amboseli. hd00:07Yaks and cows in a rural Asian setting, beautiful mountains and lush green fields. hd00:09close up of elephants under kilimanjaro.